Designed with the needs of our pro athlete team in mind, the Black Diamond Boundary Pro 107 is a tuned-up, limited edition ripper that excels on big, consequential lines, high speeds and mixed snow conditions. Building on the playful soft-snow performance of the original Boundary 107, the Boundary Pro features an upgraded flat, solid-core construction for added torsional stiffness that not only makes for powerful, aggressive skiing, but has the dampness and stability to hold its own when the soft conditions run out. 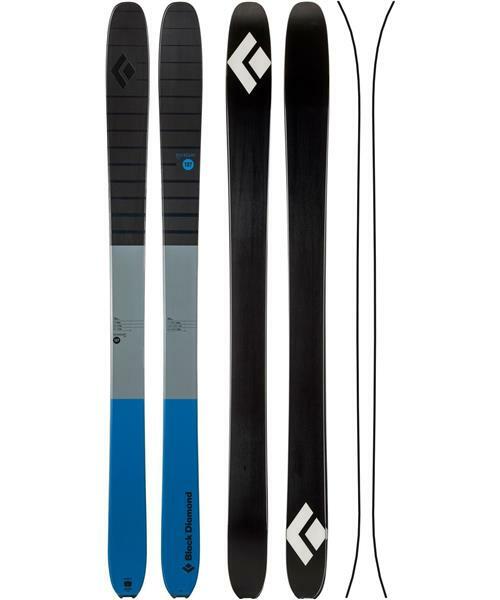 Austrian-made with pre-preg fiberglass and a poplar wood core, the Boundary Pro is a big-mountain freeride ski that’s ready to charge.